On April 26, 2016, the provincial government announced all public post-secondary institutions must create sexual misconduct policies by May 19, 2017. After a year of consultations and months of bureaucracy, May 2017 saw the UVic Board of Governors approve a new sexualized violence policy, listing out definitions of violence and university procedures in dealing with sexual violence cases. Two months later, in July 2017, the university opened the Sexualized Violence Resource Centre—a central office to organize UVic’s approach to preventing and responding to sexualized violence on campus. This, without a question, is a positive for UVic. The centre provides a new location for students to receive education and support regarding sexualized violence—open not just to survivors of sexual abuse, but anyone else on campus that struggles with this systemic issue (hint: that’s everyone). But it’s a positive that has been a long time coming. 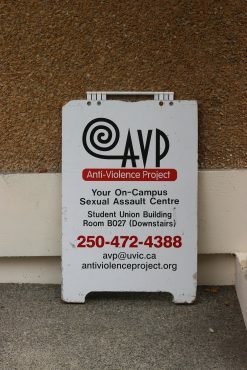 Speak to anyone from the Anti-Violence Project, and they’ll tell you that clubs across campus have been putting pressure on the administration to create a sexualized violence resource centre since at least 1993 (the year the club was founded). Since then, student and volunteers from across campus have been filling this void by working tirelessly in volunteer positions. However, this hasn’t been enough — volunteers are overworked and clubs are underfunded. 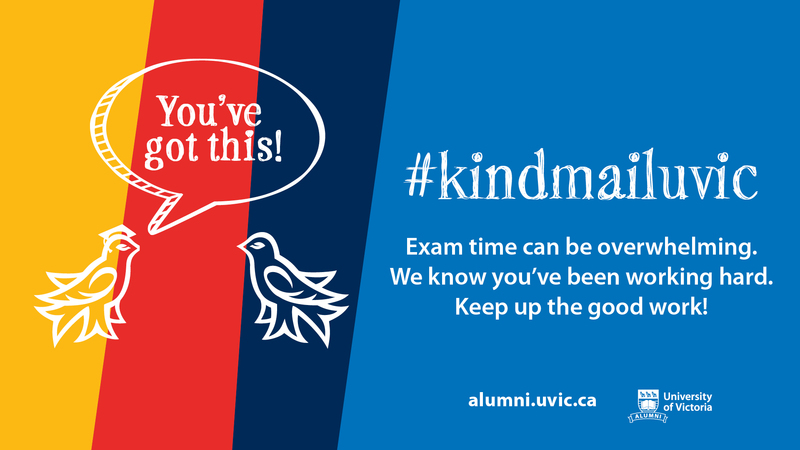 Twenty years later and the UVic administration has finally gotten around to answering that call. So, before we thank UVic for all their hard work, it’s crucial we realize this progress was built on the backs of volunteers. It is these volunteers—many of whom are survivors of sexualized violence themselves—who have worked tirelessly to ensure the plan’s success, yet won’t be on campus to reap the benefits. These volunteers were not paid for the sensitive and important work they did. They sat in meetings, shared their experiences, and began dismantling an institution that had failed many of them in the past. They skipped homework and missed evenings with friends in order to make their university a better place. These volunteers helped design a policy that would’ve spared them years of emotional trauma had it existed when they reported their own cases. Leah Shumka, UVic’s new sexualized violence education and prevention co-ordinator, knows this. Shumka worked with these volunteers because she was consulted on the new policy, and will continue to hear their stories in her work with survivors on campus. Many people on campus think that Shumka is the perfect person to be leading the university’s approach to education and prevention around sexualized violence, but they are still wary of an institution that ignored their struggles for nearly 25 years. Students are expected to utilize the new Sexualized Violence Resource Centre, with staff on UVic’s payroll, to end the alleged ‘culture of silence’ at UVic. Maybe it’s paranoia, but is it irrational to worry about the university running and funding an office designated to keep the university accountable to its students experiencing sexualized violence? This is not to say that UVic shouldn’t be applauded for taking this first step and forming a new resource centre. We’re certainly happy to see it. But with almost 25 years of institutional silence behind us, we wouldn’t blame anybody for waiting to celebrate. But we can still be thankful for one thing — no matter what the university does, this work will continue to be done by the countless volunteers who dedicate their time to making sure no survivors go without the resources they need. To those volunteers: thank you. To the university who is now helping shoulder their load: you have a lot to prove. 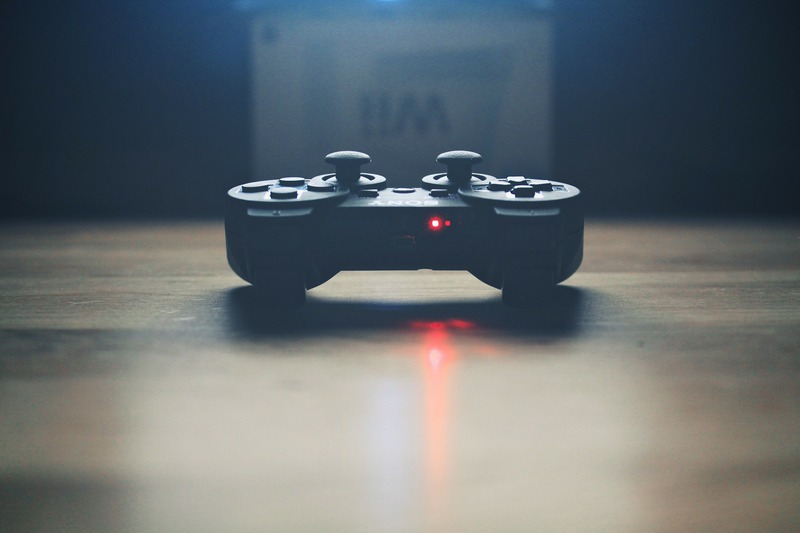 For everybody’s sake, we really hope you prove it well.